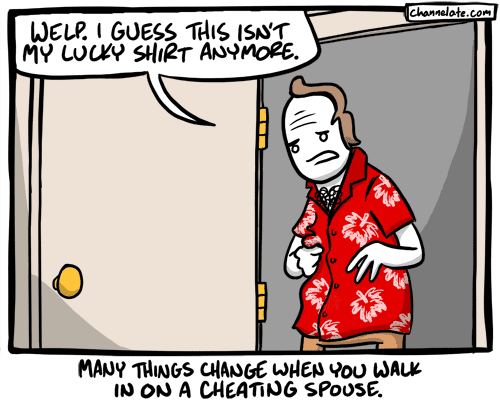 If you have more than one retired lucky shirt, sorry to hear it, dude. I have retired lucky boxers. Does that count? I would think it would be the other guy wearing those. It would still be lucky if she was cheating with another woman!